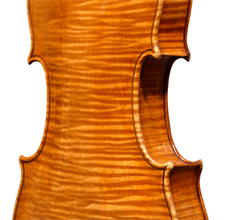 As the highlight of our October 2010 sale, the ‘Molitor’ Stradivarius of 1697 generated interest from collectors, international foundations, orchestras, and world-class soloists. This beautifully preserved violin is thought to have been owned by Napoleon Bonaparte. It was subsequently in the collection of the Curtis Institute of Music and later owned by the distinguished American violinist Elmar Oliveira. Offered with a low estimate of $2 million, it was bought by premiere American violinist Anne Akiko Meyers after intense bidding for a record $3.6 million. The October 2010 sale was also the highest grossing musical instrument auction of all time, totaling $9.04 million.